The 102xl is a high-performance 2-channel mono audio mixer for balanced line level and mic level mono audio signals. 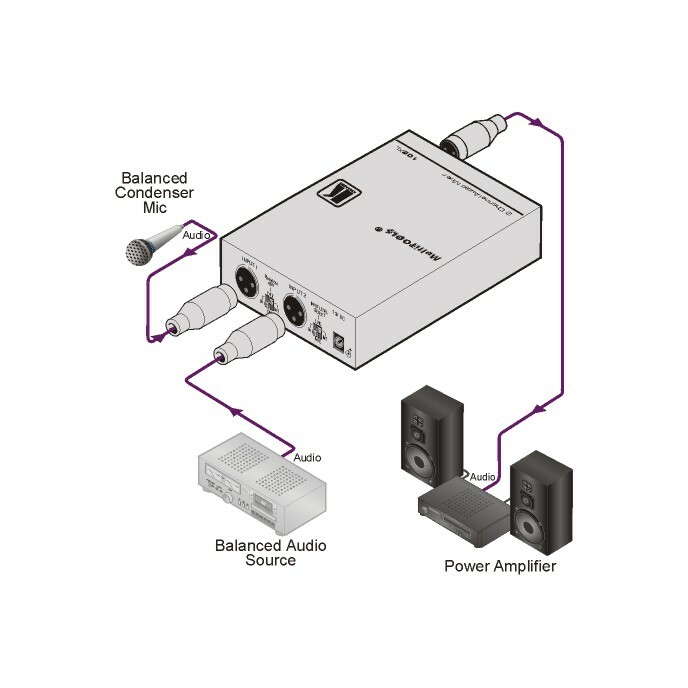 The unit mixes two mono inputs and produces a mixed audio output signal. S/N Ratio - 91.5dB (line level), 62.5dB (mic level). Line or Mic Level - Input selectable. Phantom Power - 48V DC (input selectable). Level (Gain) Control - Input 1, input 2, and master. Compact MultiTOOLS - 4 units can be rack mounted side-by-side in a 1U rack space with the optional RK-1 universal rack adapter.